Boiler breakdown during the winter months is every homeowner’s worst nightmare. We are all starting to feel the force of the cold weather, when you can’t heat your property, it can be extremely difficult to feel comfortable in your own home. Your boiler is responsible for the amount of heat flowing through your home; if your radiators are blocked up or broken, this can prevent heat flowing through your home to its full efficiency. 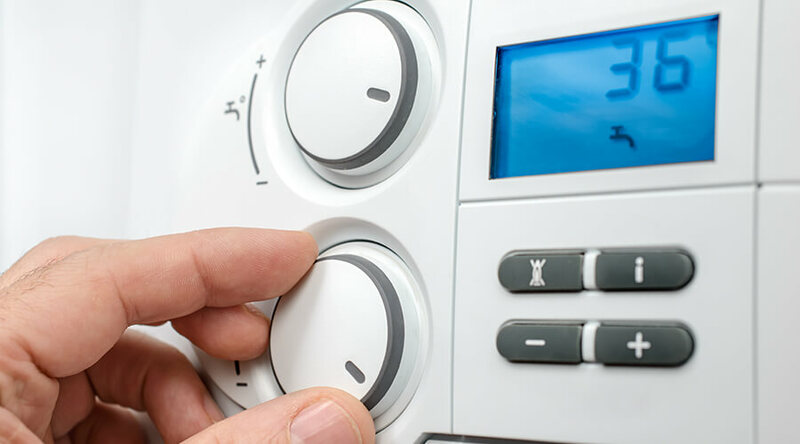 Boiler breakdown can cause a situation in which nobody in your property will have access to hot water or any form of central heating – which isn’t ideal in the winter months. Your boilers are more prone to breakdowns in the Winter because of all of the external pipework that leads to the outside of your property. If you can’t remember the last time that you had your boiler checked by a professional gas engineer, or your just worried about your boiler through the freezing weather, we’ve devised a list of top tips to prevent boiler breakdown during the colder months of this year. There are a few giveaway signs that your radiators need bleeding. The main one being if they are making weird noises. When you put your heating on, listen out and be wary of any gurgling, bubbling or popping noises coming from your radiator. This is often an indication that your radiator has trapped air bubbling up, the pressure can prevent your radiator from completely heating up. Radiators are meant to contain strictly water, so air in your radiators shows an issue with your plumbing system, or that you haven’t bled your radiators in a long period of time. This issue may also become apparent when you are attempting to heat your home. If you’ve put on your central heating system, but your home still feels cold, or even not as heated as it should be, this often rings alarm bells regarding your radiators. If you feel your radiator and only one half of it is heated, this is a definite implication that your radiators need bleeding. The good news is that you don’t need a plumber present in order to bleed your radiators. The process is relatively simple and can be carried out in a matter of minutes, take a look at this article to find out how to bleed your radiators. As we previously mentioned, there are a lot of external and underground pipes that link to your property’s central heatings system. When they are open to the elements, they can become vulnerable at this time of year. Unfortunately, as we approach the end of this year, it begins to get colder and colder, and we have to deal with elements like ice and snow. It’s hard enough for us to cope with these weather conditions, let alone your home’s plumbing. If your boilers pipes are exposed to freezing temperatures, the water that flows through them can become frozen. Although this may not sound bad, frozen water will stop the flow of the rest of the water circulating around, which will cause a massive pressure build up. Over time as this continues, your pipes will burst or crack, which causes a leak and can either cause damage to your property as well as your boiler. Pipe insulation prevents this from happening, just like any other form of insulation its job is to keep your pipework warm and acts as a shield to stop any pipes from freezing. You can fit pipe insulation yourself, although we would recommend contacting plumbers Milton Keynes, who can ensure that the pipes are in good condition and that the insulation is fitted correctly and neatly. It’s recommended that you have AT LEAST one boiler service a year by a professional gas engineer to check that your boiler is in good, working condition. If you do not have yearly boiler maintenance, you could be in a situation in which you need boiler installations Bedford, since your boiler is damaged beyond repair. Unfortunately, you cannot carry out a boiler service yourself, a qualified gas engineer has to do this, but not to worry this service is available for an affordable price. Just like a car service or any other kind of check-up your boiler has to have maintenance every year to ensure that it’s working efficiently. If it’s not then this could have a dramatic effect on you. When your boiler is faulty, you sometimes might not realise it, but you could be wasting hundreds of pounds a year simply because your boiler is outdated or worn out. As well as this a faulty boiler can be the leading cause of things like gas leaks, which can be fatal when left. Faulty boilers can release Carbon Monoxide which is poisonous to us. When left over a period of time it can be fatal and causes a number of deaths each year. You can avoid gas leaks with a simple, quick boiler check-up. If you live in a rented property, it’s your landlord/lady’s job to ensure that they organise this and it is carried out yearly. Unfortunately, a lot of the UK are hard water locations. Because of this, when your boiler heats up, it can cause a build-up of minerals that calcify in the water when heated. This can affect your boilers immersion heater as it becomes clogged up with solidified minerals. You can prevent this happening before it gets to this stage. Not only does this affect the immersion heater, but it can cause clogs in your pipeworks overtime and can even block up your taps or shower-heads. Prevent any blockages, or hard water build up’s by power flushing your entire plumbing system. You can do this yourself, although it’s not recommended as you could end up causing more damage to your properties pipeworks. A power flush works by pushing vast amounts of water at a high pressure, really fast around your property’s plumbing works. The chemicals added to the water during the power flush aim to break down any grease, dirt or minerals that could be building up and starting to block the pipes. This prevents pipe bursting and boiler kettling. Prevent Boiler Breakdown This Year! Now it is getting to the freezing time of year; you should definitely take precautionary steps to ensure your boilers working to full capacity. Using these top tips, your boiler will last all year round and heat your home without your energy bills skyrocketing.